Standing on the first tee of the Players Club at Foxfire, one could be standing on the tee of almost any parkland style course in the Midwest. 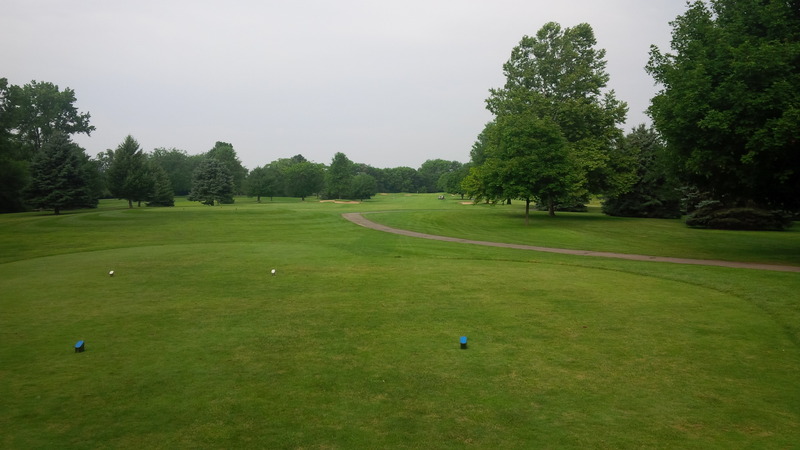 The second leg of the central Ohio trip took us to the Players Club Course at Foxfire Golf Club in Lockbourne, Ohio, just south of the Columbus metro. Coming off a wonderful day at Longaberger G.C., it would be unfair to almost any golf course to stand up in comparison. However, the Players Club has nothing to apologize for, as far as our group could tell. The golf course turned out to be an interesting, dynamic, well conditioned upper tier daily fee tract. “Dynamic” is probably the most germane adjective when describing Players Club, though “interesting” and “well conditioned” are equally accurate, because the course is actually two distinctly different styles within its 18 holes. 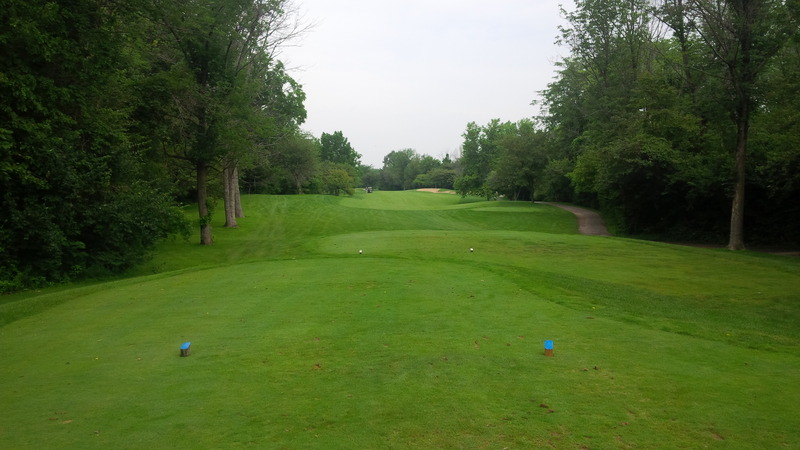 As golfers progress toward the green, the 4th hole fairway narrows to less than 10 paces. The first four holes and the closing five holes are almost prototypical parkland style golf holes. These holes are long, straight or slightly doglegged, narrow, and defined by the massive hardwood trees that line both sides of the fairways. There are well-placed fairway and green bunkers that challenge almost every shot on these very traditional golf holes. These holes demand that a golfer be in near complete control of their ball flight and targets, as simply being on the wrong side of the ribbon thin fairways could leave one completely out-of-position to try to attack the flag. 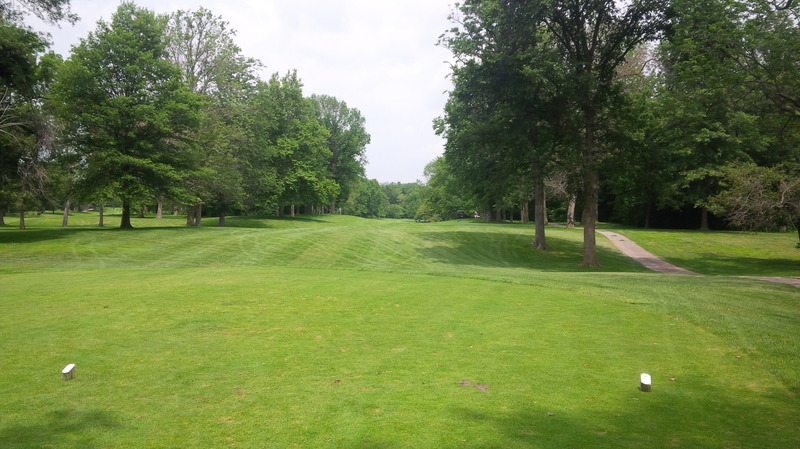 The trees that frame and constrict the fairways hide that fact that Foxfire is located in the heart of giant swaths of corn and soybean fields. This stretch of holes is an arborist’s paradise, an oasis from the flat farms adjacent to the golf course. This is not an optical illusion: the downhill, par 5 15th hole is every bit as narrow as it appears. Additionally, holes 14 through 17 are the only holes that have any real elevation change to speak of at the Players Club. The golf course includes only one natural hill, and adjacent valley, sitting above the rest of the course like an island in the middle of a vast sea of flat, corn-filled plains. This portion of the course looks and feels as if it could be 75 years old, though in reality the course didn’t exist until 1993. 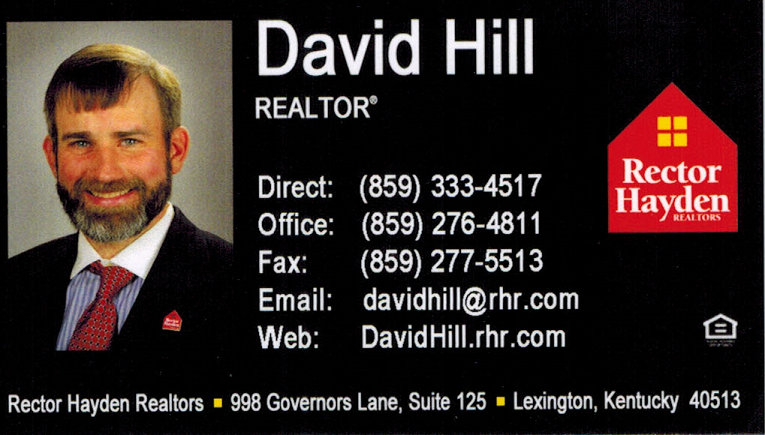 That is part of the genius of this Dr. Michael Hurdzan and Jack Kidwell design. It is so stereotypically old-style, parkland golf that it borders on caricature. However, each hole has a unique identity that requires the player’s focus, judgment, and creativity. The distinctly different styles of holes make it difficult to identify a “signature” hole at the Players Club. Nonetheless, the uphill, dogleg 16th hole is the complete package as a test of target-based parkland golf. While not postage stamps, the old greens on the Players Club were tiny compared to the sprawling greens we’d played at Longaberger the day before. 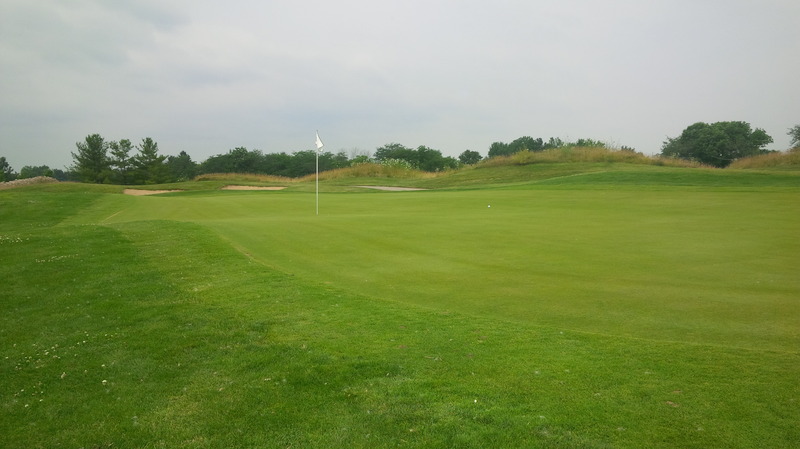 However, despite being significantly smaller, the Foxfire greens contained every bit as much undulation and slope, putting a premium on playing to the correct portion of each green. 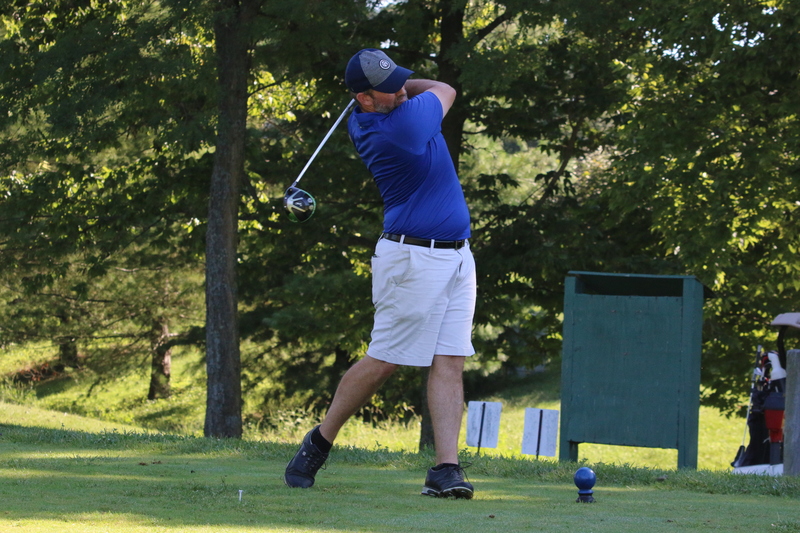 The “middle” nine holes, numbers 5 through 13, which were added by Barry Serafin, are a complete departure from the rest of the Foxfire facility. As decidedly old-style and parkland as the opening and closing holes are, these middle holes are, by contrast, as close to links golf as one will find in the middle of Ohio. After four holes, the Players Club course leaves the forested comfort of its origin and heads out into the treeless, windswept, well-bunkered, and mogul-filled expanse of Foxfire’s western edges. The stand of trees guarding the left side of the 5th fairway were the last significant trees in play until reaching the 14th hole. These holes are almost entirely flat tee to green. What elevation change exists is mostly from fairly obviously man-made moguls, the creation of which was probably required to create the several lakes and ponds that form a near omnipresent hazard for the links stretch of holes. The lack of trees and other windbreaks made these holes extremely susceptible to the wind, which, with so many water hazards and bunkers present, had to be accounted for on each shot. The knee-length fescue surrounding the holes was aesthetically pleasing, and if you could find your ball, you could probably get your club on it and have a go at a full shot. Playing into the wind, picking a target from the tee of the short par 4 6th was only the first of several challenges on this devilish hole. What’s more, the wispy fescue blades dancing with the wind really added to links feel of the course. Despite some soreness and fatigue from the difficult round the day before, the layout at the Players Club fit my eye and my game splendidly. From the white tees, the Players Club course plays to just over 6,700 yards and a course rating and slope of 72.2/129, which was statistically similar to Longaberger the previous day. 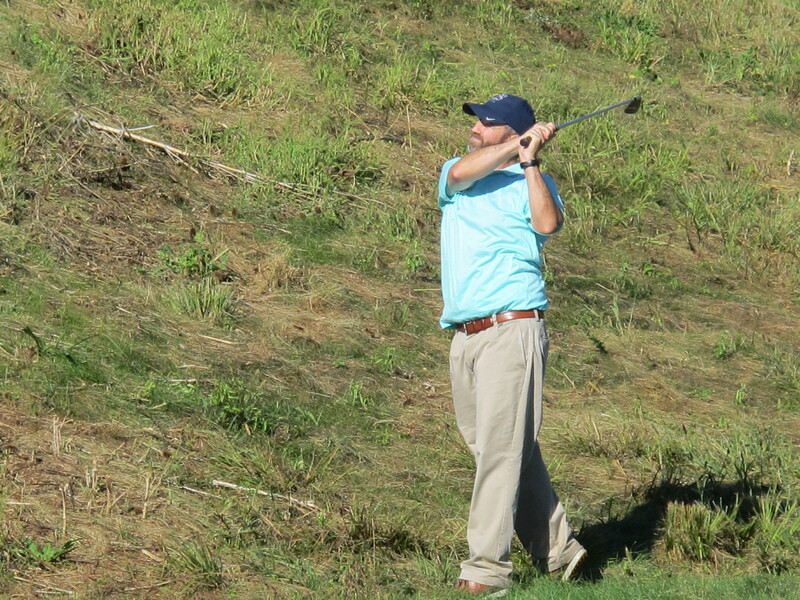 However, I felt like the Players Club allowed me to more advantage of my predominantly low, right to left ball flight. 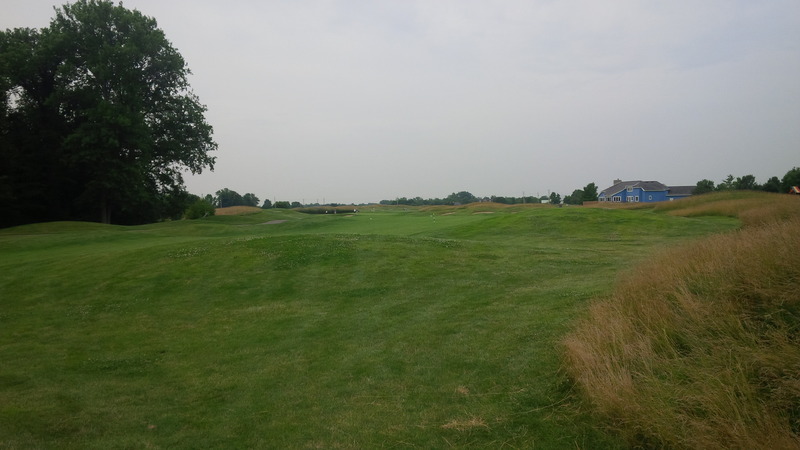 And the wide open nature of the links section allowed an easier recovery from a misplaced tee shot. 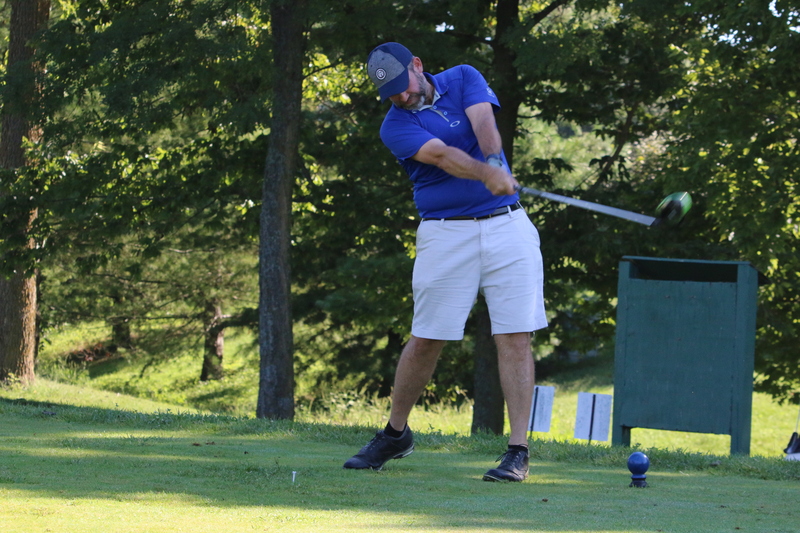 Also, though the Players Club’s greens were relatively small, they rolled at average to below average speeds, which gave our group a much larger margin of error in our short games. 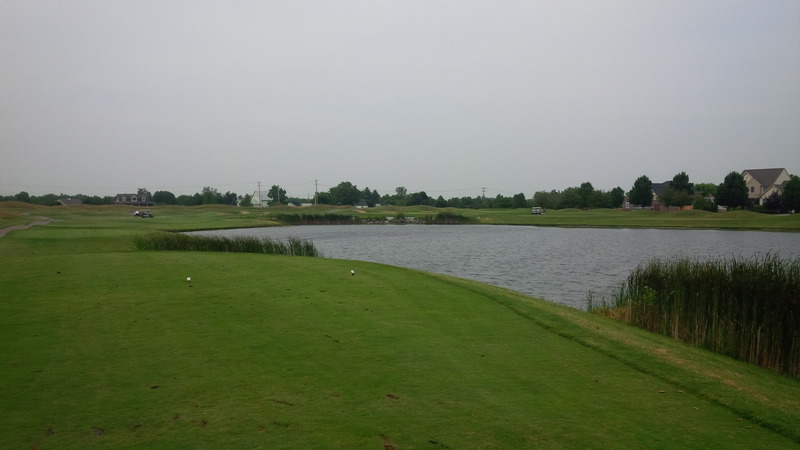 Playing into an increasing wind, par was a great score on the long, uphill par 4 10th hole. 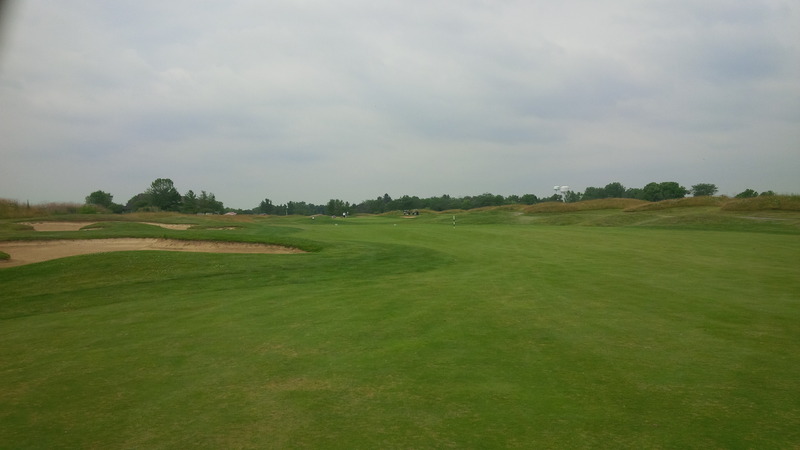 The course was in great summer shape. 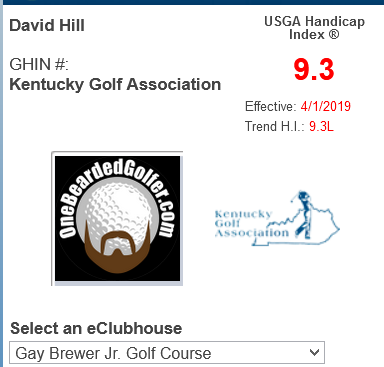 It was marginally less polished than a true top-tier golf course (i.e., there were spotty patches on some tees and collars, some thin and bare patches in the rough), but it was definitely within the acceptable range for an under $50.00 course at a prime Sunday morning tee time. With my improved Sunday play, I was able to break even on the weekend long Nassau competition, though that couldn’t have mattered less. Our group was able to get around the course in under four and a half hours, and had a tremendous time doing so. 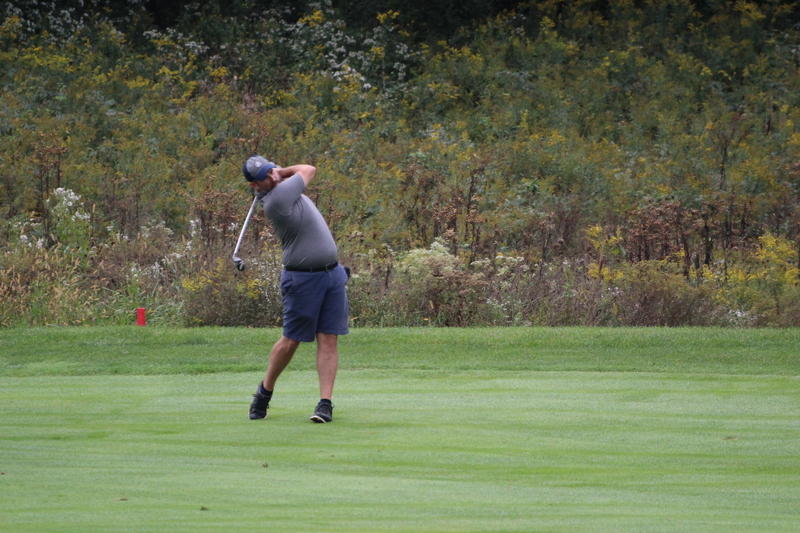 Despite being in the middle of a very rural area dominated by corn and soybean farms, there was an abundance of wildlife present on and around the course, which only added to the subtle charm of the Foxfire Golf Club. Apparently we interrupted this gal’s Sunday brunch as we approached the 3rd green. It was soul-warming to visit and spend another few hours with Matt on the course. From Foxfire’s location on the far south side of the Columbus area, after a quick bite to eat, Bryan and I were able to easily hop on Interstate 75 for the journey home. 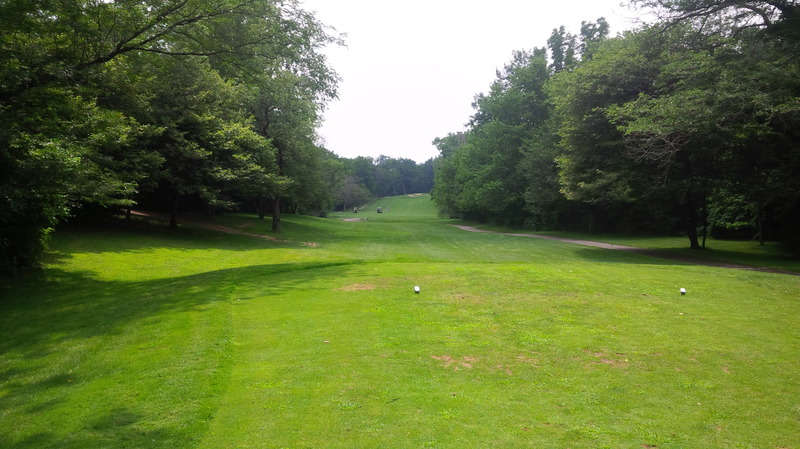 I don’t know if the Players Club at Foxfire is an absolute must-play if you’re going to be in central Ohio, but it is an extremely fun, interesting, and entertaining golf course, well worth its modest fees. Plus, with such stark differences in style between the two distinct collection of holes, the Players Club truly tests a golfer’s complete game without being overly or unfairly difficult. It was definitely a positive experience all the way around. The green of the par 4 13th hole was one of the larger putting surfaces we encountered in our round at Players Club. Sounds like a course to play if you are working on your control game. Also, a shooter, instead of a brasher, would enjoy this course more. It does not really sound like course management was a real issue with the straight holes. Course management was definitely more important on the links-style holes, as there was a lot more lateral movement in the routing: dog legs, forced carries, etc. Still sounds like a fun course to play. I love a shooters course.